The Second Squad is investigating a Robbery that occurred in Levittown on Thursday, June 25, 2014 at 12:30 am. Levittown, NY - June 25th, 2014 - The Second Squad is investigating a Robbery that occurred in Levittown on Thursday, June 25, 2014 at 12:30 am. According to detectives, a 24 year old female victim exited her car after parking it in the driveway of her Crest Lane residence when she was approached by an unknown male subject and thrown to the ground. The subject grabbed her pocket book which contained a driver’s license and undisclosed amount of US currency. He then fled on foot west on Crest Lane. The subject is described as white, 20 years old, dark shoulder length hair, dark short sleeve t shirt, blue jeans. The victim suffered an abrasion to her right elbow but declined medical assistance. 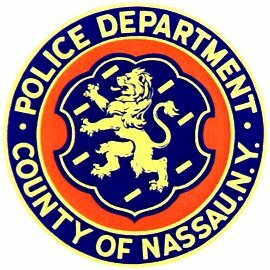 Subject: LongIsland.com - Your Name sent you Article details of "NCPD Crime Alert: Man Wanted for Stealing Purse from Woman in Levittown"